A modern and spacious two-bedroom flat with a private balcony, located within easy reach of Clapham Junction station and Battersea Park. 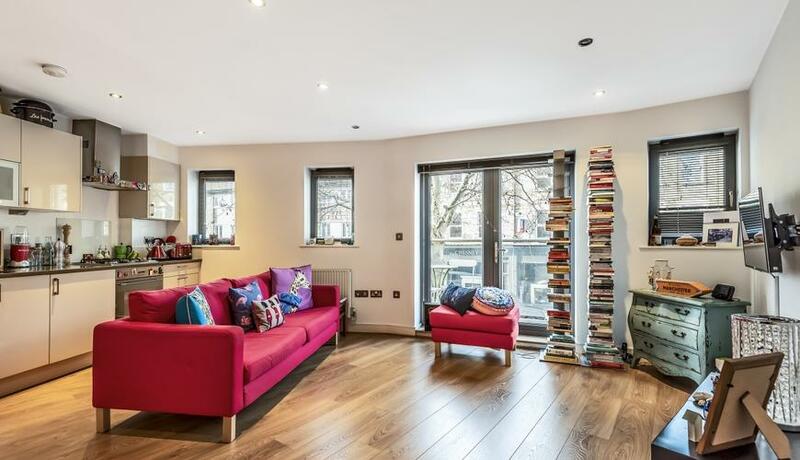 Located on the first floor of a well-kept modern block, this excellent two-bedroom flat would make the ideal home for a couple or professional sharers alike and comprises a large reception with a fully-integrated, open-plan kitchen and access to a private balcony. 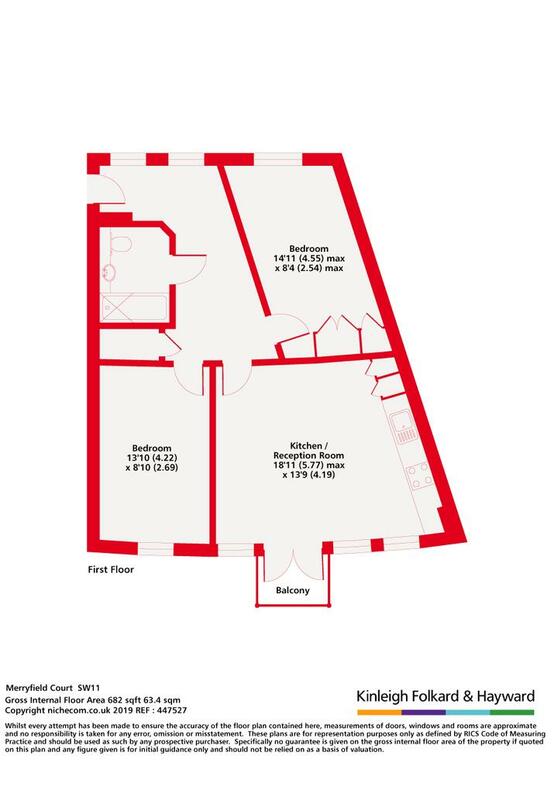 There are two, well-proportioned double bedrooms with plenty of space for storage, as well a contemporary, family bathroom.